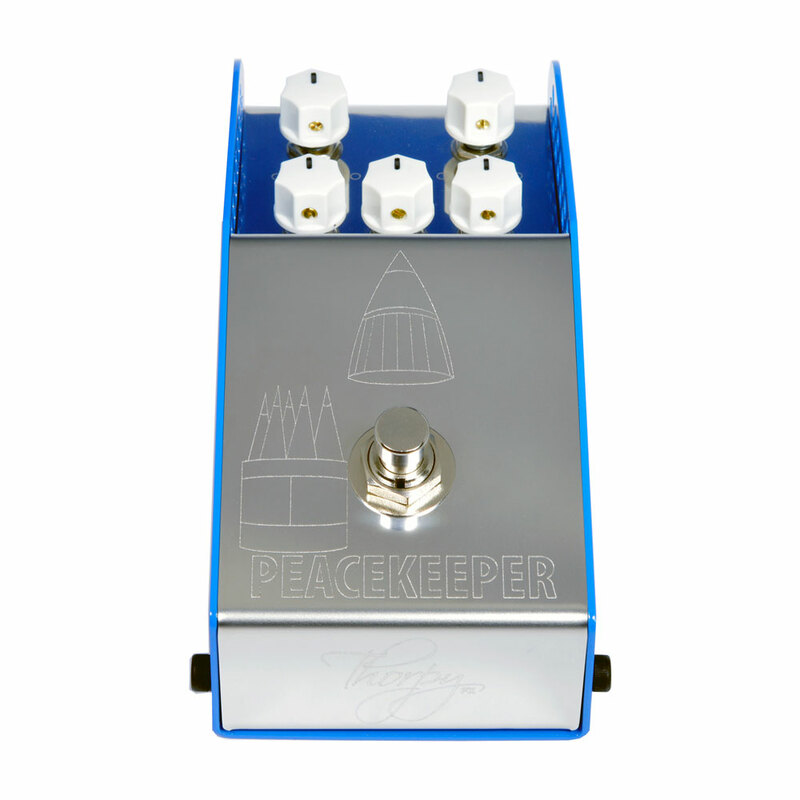 The ThorpyFX Peacekeeper Pedal is their take on a low gain overdrive designed to suit all guitars and all amps whilst delivering the sweetest 'just on the edge' up to crunch tones. 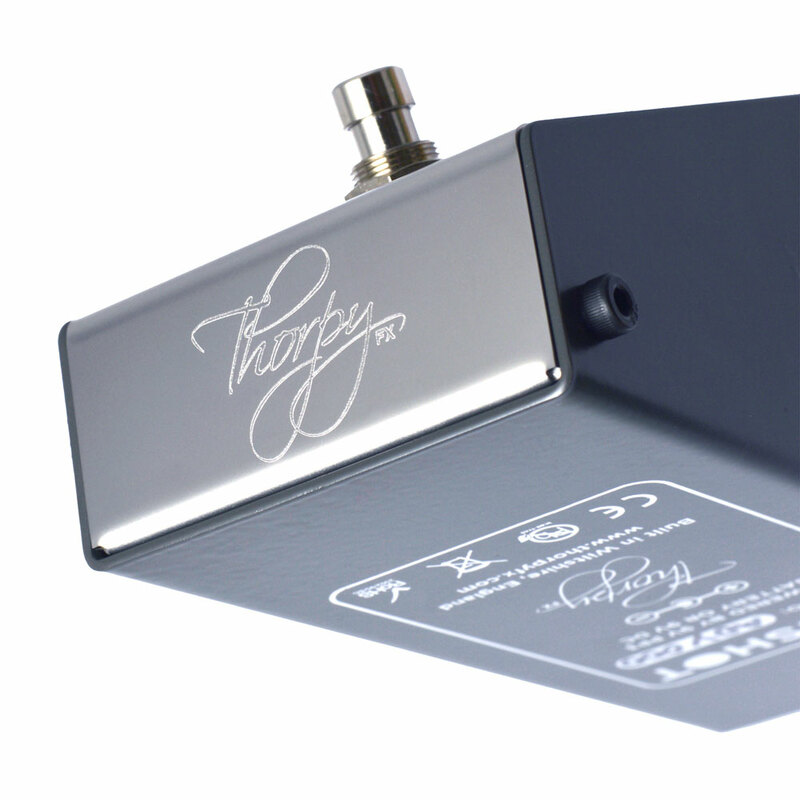 It combines a post gain, active treble and bass circuit with a pre-gain mids/presence control, allowing you to tailor the overdrive character and tonality to your exacting needs. 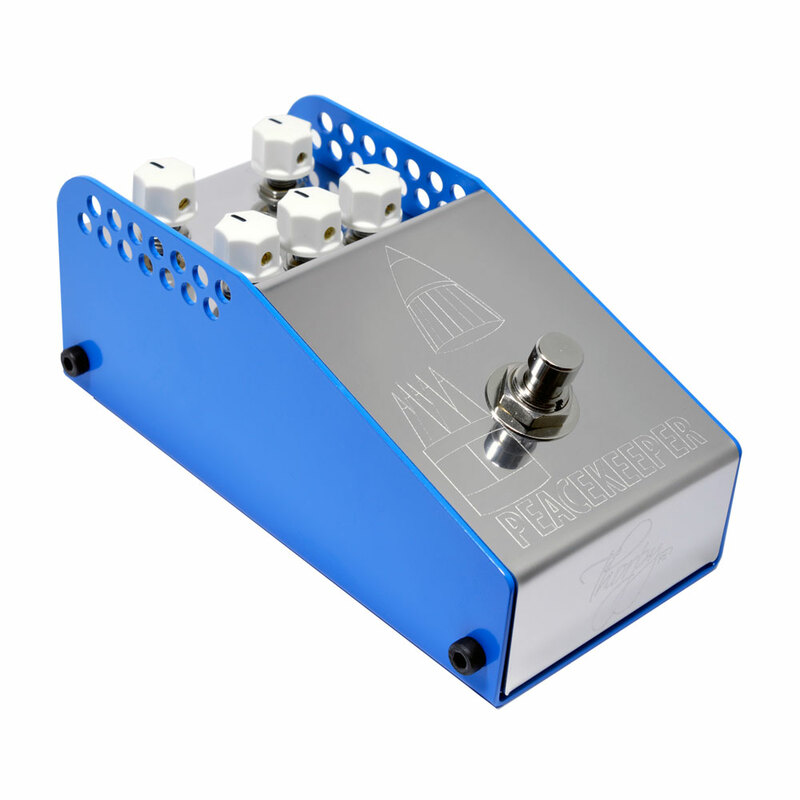 The pre-gain mids control allows you to move from a very smooth mid scooped gain to a more pronounced mid humped gain with all the subtleties in between. 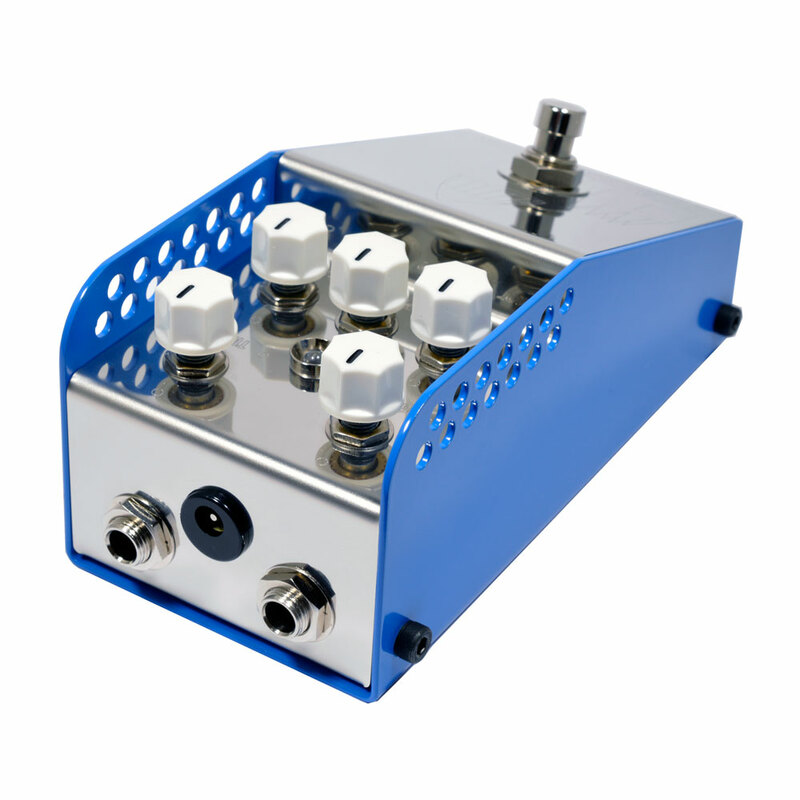 Post gain, the active treble and bass controls adapt that focussed gain stage to achieve the tone you need. 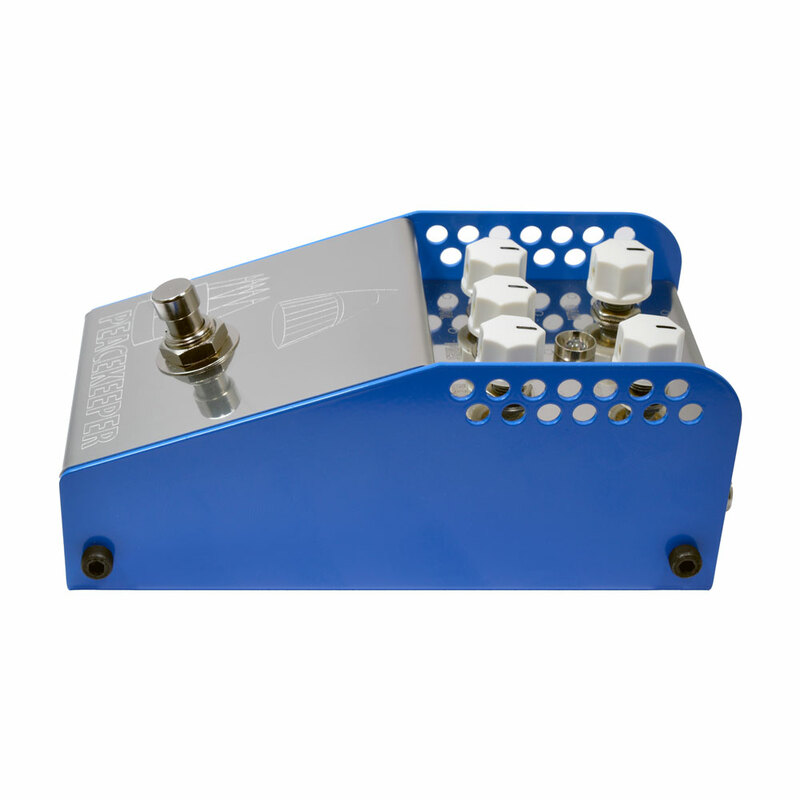 Great used as a subtle boost into your amp (Klon style) or as an on the edge overdrive.